The road in Valencia, just past Talay in Dumaguete is lined with tall eucalyptus trees with violet, orange, and white bougainvillas clinging to the trees. I can’t help but notice beautiful homes on the road. Middle-class ones, and several really big and beautiful homes with gardens. This mountain resort is about 20 minutes by motorbike from Dumaguete. 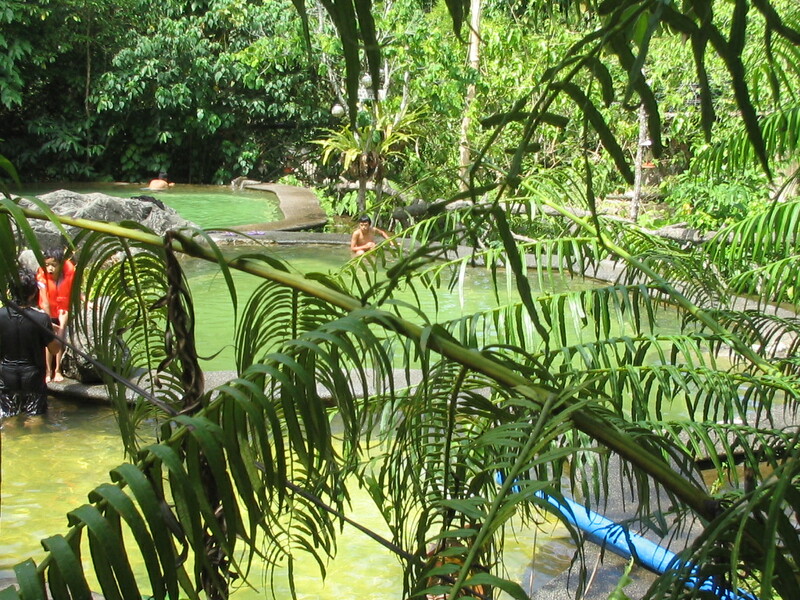 Immediately outside the resort are two huge swimming pools with spring water, each with nearly a thousand bathers, at P10 entrance per person. After all, it was a Sunday in summer. 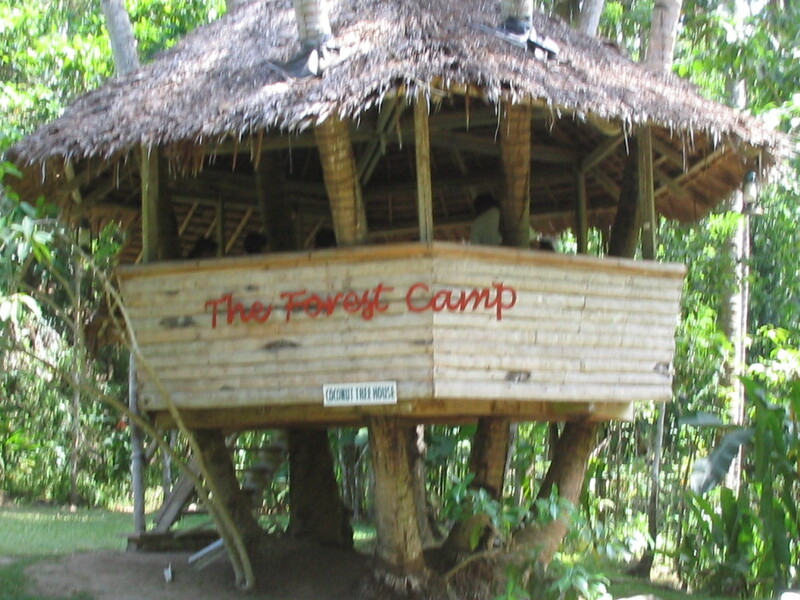 Upon entering Forest Camp, visitors are charged P80 per pax. An admonition to keep the place clean, the trekkers’ code, is prominent at the gate. 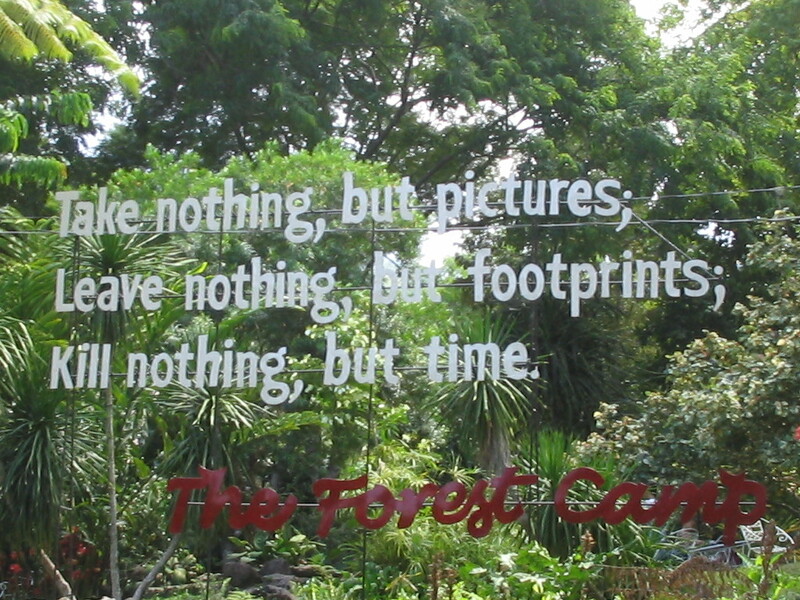 Forest Camp is a popular picnic destination. Most of the daytime guests are families who go straight to rented tables and picnic huts, big picnic baskets and drinks in tow. 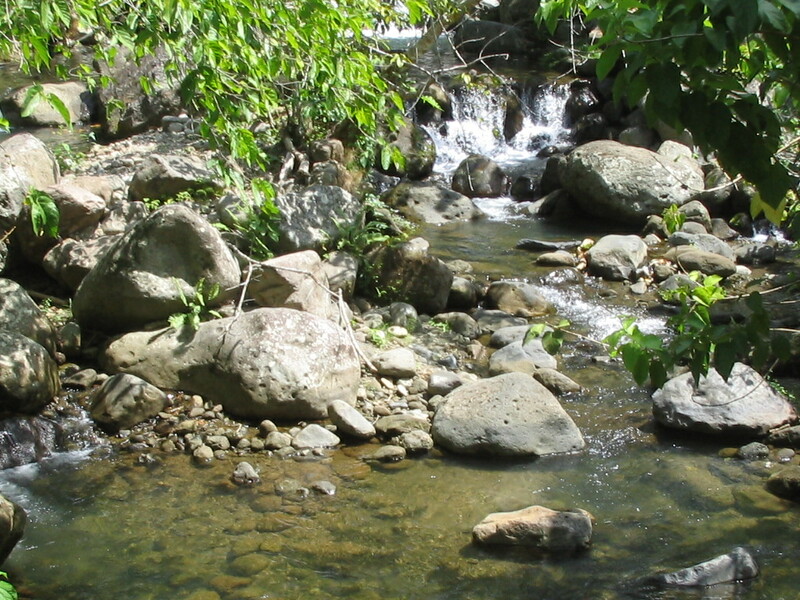 And then everyone takes to the series of small swimming pools and to the stream. I have never ever seen a resort with notices all over saying “Drinking Alcoholic Beverages Strictly Prohibited”. What a pleasant surprise. Indeed, a place for wholesome family picnics. I had to ask the resort staff if they prohibit smoking, too. No, they don’t. In fact, they said some visitors discreetly bring in alcoholic drinks, and the staff just look the other way. But because of the official prohibition, guests who bring in drinks surreptitiously have to drink in moderation and, as a result, the place is generally free from trouble caused by drunkards. 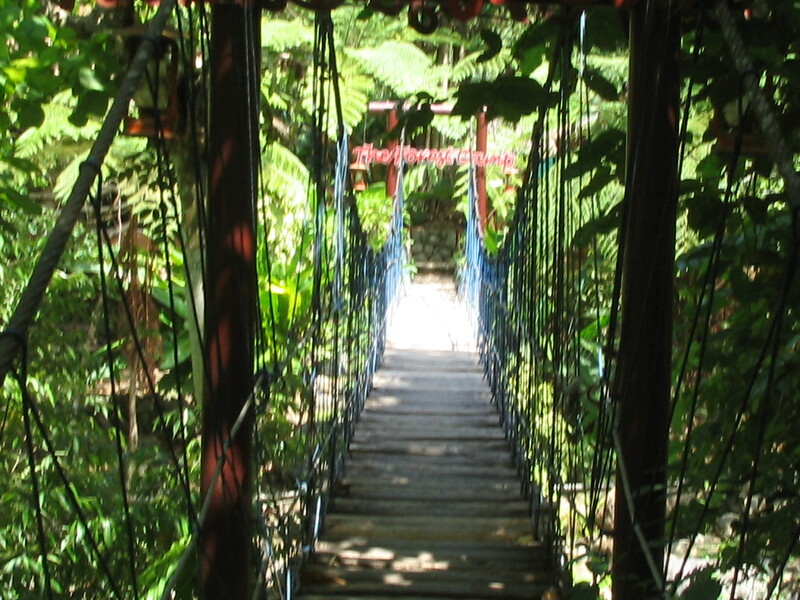 Or maybe the drunk aren’t able to negotiate the camp’s hanging bridge. Visitors who don’t bring picnic baskets can buy food and drinks in the restaurant. 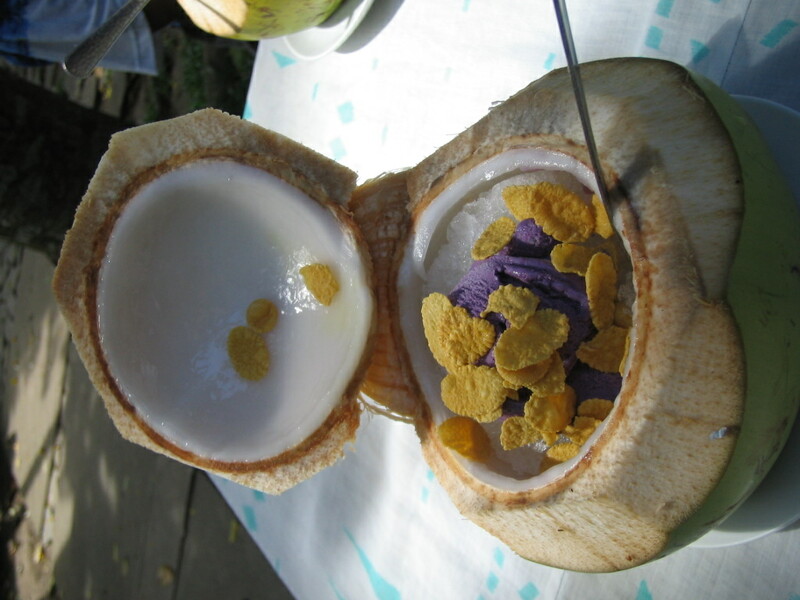 I loved their “buco halo”, halo halo on buco at only P60. You can also fish for your lunch in the tilapia pond near the restaurant, pay for your catch and have the pla pla steamed or grilled by the staff. Accommodations are also available, sans airconditioning. 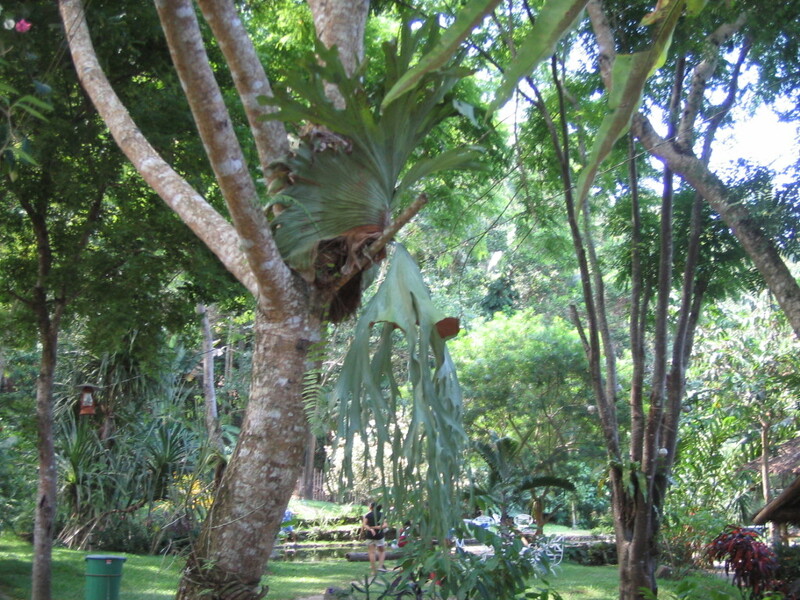 The forest keeps the rooms naturally cool. The Rambutan and Durian cottages are rented out at P1,000 per day , with P200 additional charges for each person in excess of two occupants. 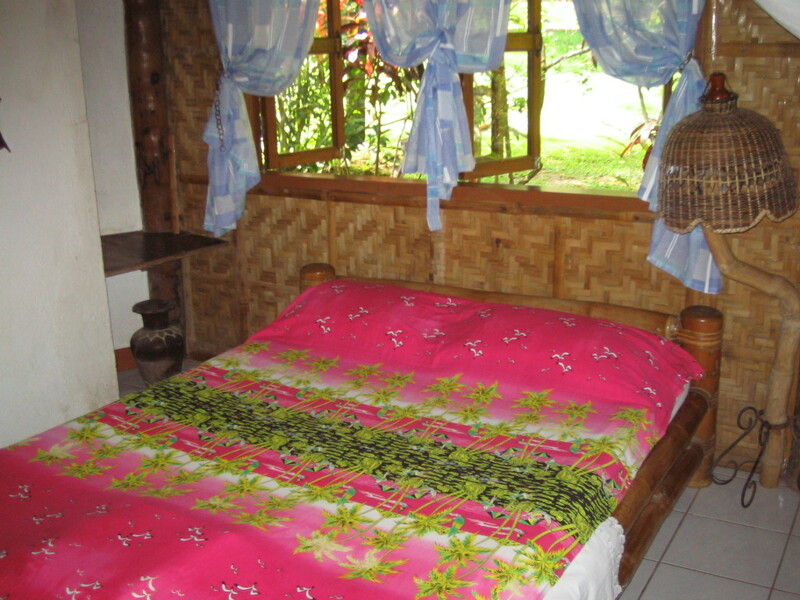 The Bahay Kubo, the Champaca, and the Narra go for P2,500 per day, accommodating as many as 10 persons in the cottage. Picnic huts like Tree House, Kamalig Lanzones, and Kamalig Mangosteen are rented out for P300 per day. Campers can also sleep in tents, at P200 per head, with tents, beddings, and mats provided by the camp. Guided treks to the Casaroro Falls and to Lake Nailig are available, at P800 per guide, with 1 guide for a maximum of 5 guests.